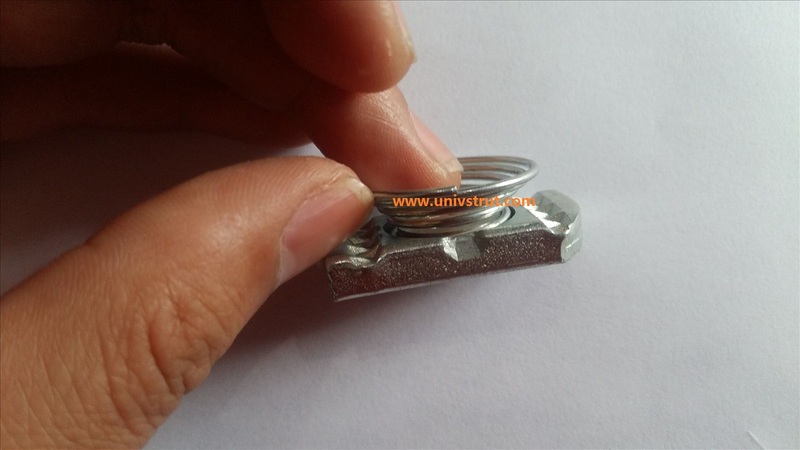 Spring nut,channel nut,strud nut, cone strut nut production facility is updated. 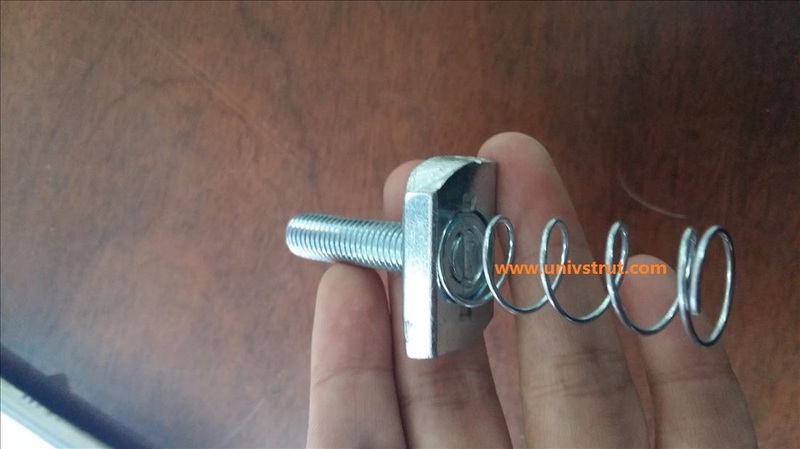 The spring is fixed in nut which make it muck firm and in high quality. 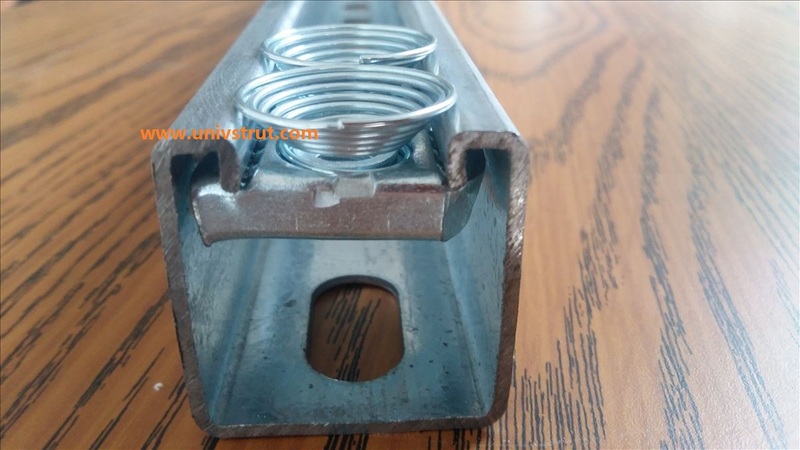 Professional China MFG of strut channels, spring nuts, channel nuts, Rigid/EMT/Universal pipe clamps, strut fittings/brackets, cushion clamps, cushion-A-clamps, pipe hangers, clevis hangers, U beam clamps , pipe clips and So on.